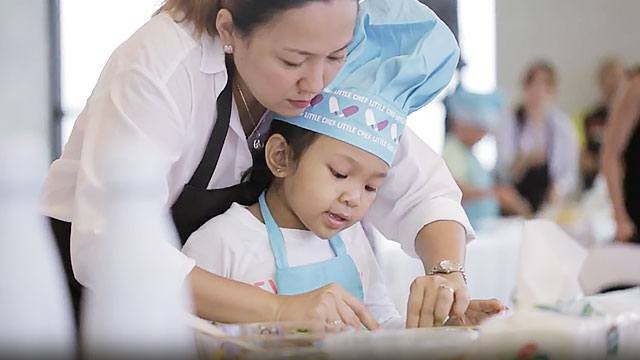 Have You Tried the Delicious Cakes at These Restaurants in Katipunan? It would be like you’ve died and gone to chocolate heaven. One of the best things about Katipunan, aside from being a prime spot for top schools and universities, is that you’re spoilt for choice when it comes to restaurants and cafes that serve delicious desserts. If you’ve got a sweet tooth or need just the right amount of sugar rush to jumpstart your day, Katipunan should be on top of your must-visit list. Just go to the cafes with the word “chocolate” on their names and you can’t go wrong. For instance, you can try Casa Xocolat. Inspired by the chocolate milk bars of Barcelona, Casa Xocolat features hot chocolate in all its glorious forms and flavors. If you think chocolate is reserved for dessert items on the menu, think again. You can sample it from start to finish! The Albondigas Sliders (mini burger patties) are made with their signature cacao spice rub, so you’ll get a good mix of sweet and savory flavors. This is best paired with a mushroom espresso latte. You can also try their Chorizo Pasta Blanco—it gives the classic pasta sauce a twist by adding in white chocolate to the chorizo and roasted capsicum, creating a unique burst of flavors. And now, for dessert: the Mini Xocolat Brioche is best taken with Taza De Xocolat. And if that’s not enough to satisfy your chocolate craving, go for a mini-version of That Xocolat Cake topped with meringue. Don’t forget to forgive yourself for wanting more of the Original Sin Brownie Bites. Don’t leave without seeing (and tasting) for yourself the many ways hot chocolate can present itself. Try the Xocolat Elixir Sampler, which gives you the chance to try Old Fashioned, Matcha Latte, and Dark Chocolate drinks. 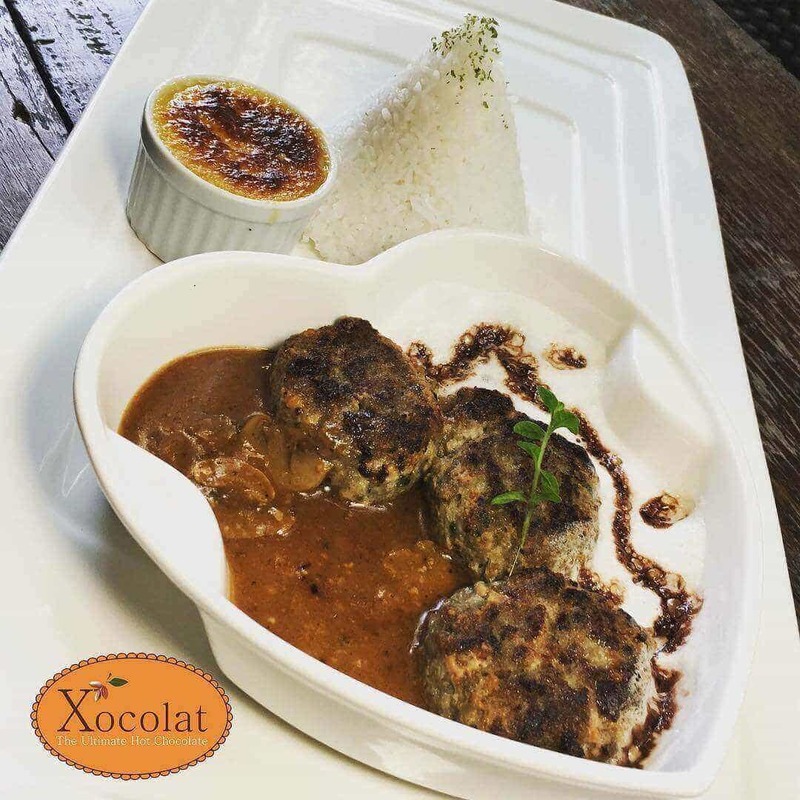 Next up: The Chocolate Kiss Café, an iconic place within a state university in Quezon City, which has been capturing hearts—and palates—for more than two decades. Its newest branch is sure to stir up memories of first dates, graduation dinners, and weekly family lunches among its regular customers. The Devil’s Food Cake is to die for: a slice of this luscious chocolate cake with chocolate fudge filling and marshmallow frosting is the perfect choice to cap off a meal. If you don’t mind treating yourself to more chocolate than usual, then go for the Classic Chocolate Cake: two layers of moist chocolate cake filled and frosted with dark chocolate ganache. If you’ve got little ones in tow, just order a serving of the Cookie-Brownie Sundae—the warm deep-dish chocolate chip cookie and fudge walnut brownie topped with vanilla ice cream and chocolate syrup will definitely keep them busy while you enjoy your hot tea or premium blend coffee. Of course, if you’re coming in for a full meal, do try the selection of pasta dishes, entrees, and all-time Filipino favorites. The Pesto Chicken Penne is healthy with its homemade pesto sauce, yet filling with several chicken strips tossed in. Heavy meat eaters can take their pick from the Salisbury Steak served with mixed vegetables and rice or Beef Salpicao in garlic, mushrooms, and olive oil. You can also go Pinoy with their signature Chicken and Pork Adobo flaked and fried to a crisp; or the classic combination of Dinuguan at Puto simmered in secret spices. Imagine if you lived in the Katipunan area. Do you think you would you run out of choices every time a craving for chocolate strikes? 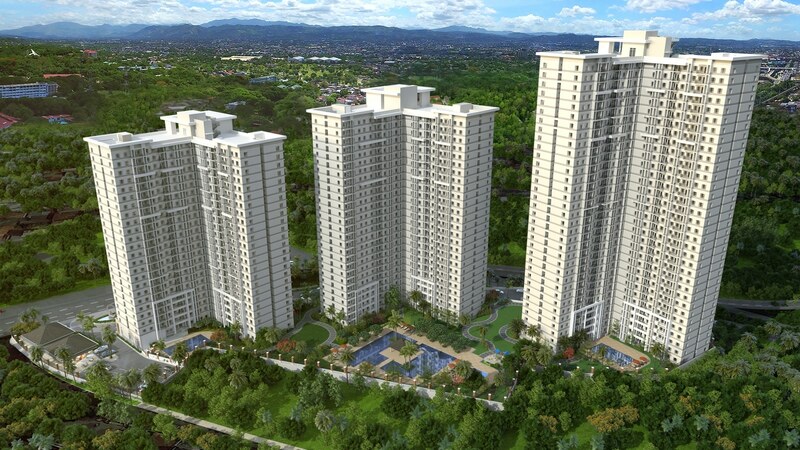 Rockwell Land is launching its first upscale, high-rise residential development in the city: The Arton by Rockwell. Its accessible and convenient location brings you close to iconic dining places like Casa Xocolat and The Chocolate Kiss Café—so you’ll never have to wait more than a few minutes to satisfy your sweet tooth or simply sit somewhere quiet and sip something hot. You don’t need to go to Quezon City to experience these Katipunan home-grown brands. Come visit The Arton Pop-Up model unit at the North Court of the Power Plant Mall on July 1-2 and 14-16 to try Casa Xocolat’s Potato Croquettes, Mini That Chocolate Cake, Lemon Walnut, and Xocolat Elixir Sampler. The Chocolate Kiss Cafe’s bestsellers will be there, too from July 7-9 and 21-23—this includes their delicious Hickory Smoked Riblets and several Cake Cut-up from their Chocolate Kiss Suite selection. 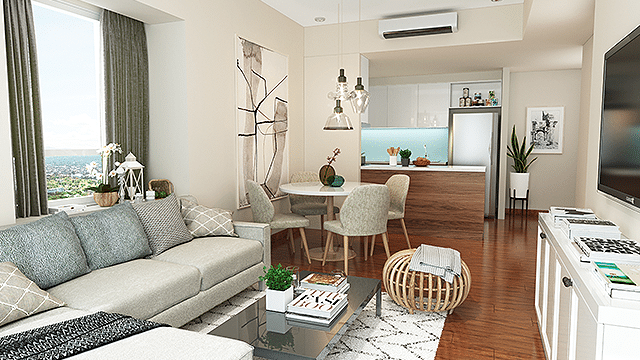 Get to know an exclusive and distinctive living experience at The Arton by Rockwell. Click here to find out more.